The European leg of the new tour of Gerard Way began last week and fans have had the opportunity to witness the performance of his two previously unreleased songs. On January 18, the musician performed in Paris and surprised fans by playing two new songs, "Don’t Try" and "Kid Nothing". On Twitter, former My Chemical Romance revealed that the first song was dropped from his solo album "Hesitant Alien" while "Kid Nothing" is one of two new tracks that the singer will perform at the London show on January 23. 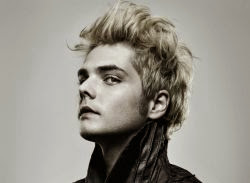 Although he released his first solo album in September 2014, Gerard said to fans that the next LP "will be released soon."